One of the most instant tracks that I have heard this year has been Drakkar Nowhere’s ‘Higher Now’. I instantly put it on one of my playlists, and hoped that it would be representative of the album as a whole. That was nearly two months ago and the fear, of course, was that something that made such a big impact on me might have waned in its appeal over time and with repeated listens. Instead this has been one of the soundtracks of my summer as this Drakkar Nowhere album has woven its way into my consciousness. I frankly suspected that this may be the case since one of the main protagonists on this album, Daniel Collás, was previously in the Phenomenal Handclap Band, a group whose music lit up otherwise dreary times for me a few years ago. I always loved their beautiful mixture of funk, electronica and melancholia; the essence of which infuses this Drakkar Nowhere album too. While recording on the Phenomenal Handclap Band’s amazing debut album back in 2009 Collás began collaborating with Diamond Nights’ guitarist/ vocalist Morgan Phalen, who also appears on that album. Getting together in Stockholm, where Phalen lives, the pair began putting together material that has emerged as a, to my knowledge, pretty unique mix of funk and soul with Swedish psych/ prog all brought together in a smoothly produced album that surprises and confounds every bit as much as it soothes and cajoles. 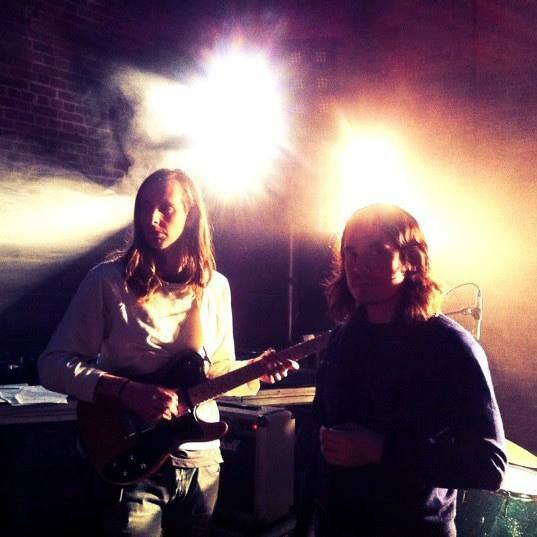 Add in a group of collaborative musicians, including Dungen bassist Mattias Gustavsson (‘How Could That Be Why’) and 70s singer-songwriter Ned Doheny (‘Higher Now’) and you begin to get a sense of how Collás and Phalen put this together using the initial creative inspiration of the forests of Sweden before moving on to New York and LA to further hone the sound. The album opens like a portal through time with ‘Any Way’, beginning with an almost honky tonk piano leading into a plaintiff vocal, its a really low key start to the set which works because it confounds expectations as second track ‘How Could That Be Why?’ launches in its subtlety and complexity. It’s a fabulous track redolent with Phenomenal Handclap Band harmonies and with Phalen’s falsetto voice soaring above Gustavsson’s funky bass and synth arrangements which take the track more leftfield. This is continued and, if anything, taken up a notch with ‘Higher Now’ which is, put simply, one of the most beautiful tracks I’ve heard this year. Lush harmonies combine with a tight funky bass to evoke the sort of summer that is warm and happy, yet finite and tinged with the sort of melancholia that that brings. ‘In The Eye Of Time’, is a short but dramatic spoken word piece that seems to summon the enchanted forest spirits, which the following ‘Did It Ever? contrasts very effectively. This sums up much of the album which seems to channel very different feelings, reflecting the variety of environments in which this album was written and recorded. Elsewhere ‘The Line’ invokes a feeling of sitting under the stars and dreaming the night away with its mixture of lilting vocal, spiralling keyboards and earthy flute sounds. Album closer, and longest track by some margin, ‘Salutaion To The Sun’ is a distillation of the album somehow; where the sublime meets the dissonant in a manner that while, at times, chaotic always seems to make sense. It is one of those tracks which for me takes some listening it, but once you are inside it it really delivers. This is an album that is not easy to summarise. There is a lot going on here and, on one track (‘At The Edge of the Mangroves’), perhaps a little too much for me. For the most part, however, this is a really well put together record that makes a welcome change from much that I listen to in that it has more light than shade. It is an album that can be hugely uplifting and though-provoking; but one which is also infused with elements of mystery and enchantment. I suspect other individuals are going to get many different things out of it, and that’s what’s interesting about it…have a listen to see what your journey will be. ‘Drakkar Nowhere’ is released on September 23rd with a limited edition on crystal clear vinyl, and a further black vinyl edition, CD digipak and download; all available from Beyond Beyond is Beyond.